DY Pilates provide Pilates in a private studio in Hednesford, Cannock. 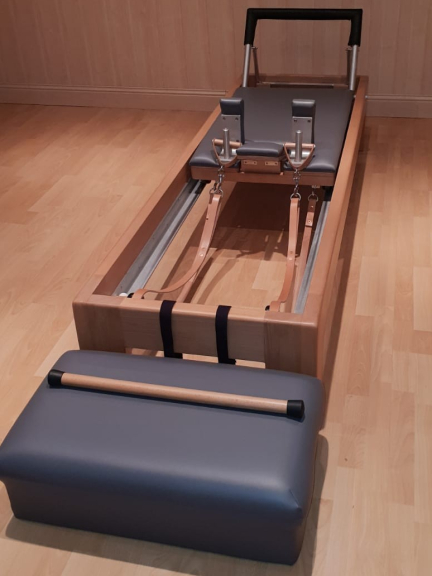 Individual classes and pairs classes are taught using specialist Pilates apparatus including the Reformer, Tower, Arm Chair, Wunda Chair & Spine Corrector. Group classes also available locally. DY Pilates is a classical Pilates Studio offering high quality Pilates using specialist equipment. Classes are delivered by highly qualified Pilates teacher Darren Yeomans. 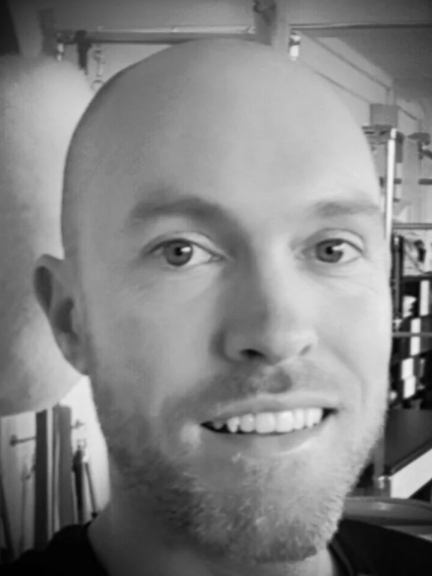 Darren has many years experience delivering Pilates having trained in Pilates mat work before going on to learning the Classical Pilates method under world renowned Pilates teacher Kirk Smith. Classical Pilates, as delivered by Darren uses specialist equipment that assists in the teaching of movement with control and development of a strong body centre. 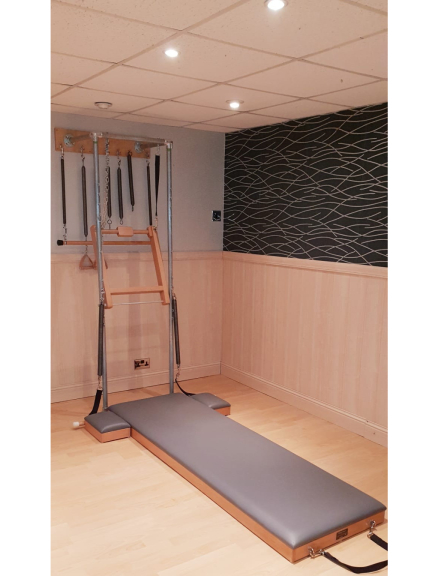 This strong centre allows people to move better and through regular Pilates practice develop a stronger back, shoulder girdle and neck which all contributes to better posture and making people feel and look great. 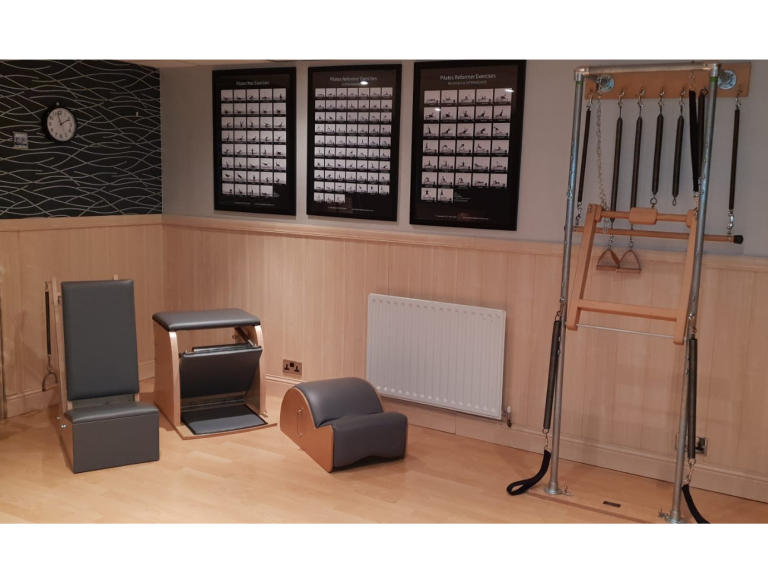 The DY Pilates studio is located in a specially created home Pilates studio in Hednesford, Cannock and draws clients from across Staffordshire and the Midlands who wish to learn from Darren whilst utilising the specialist equipment. The apparatus at DY Pilates includes the Reformer, Tower, Arm Chair, Wunda Chair & Spine Corrector. Classes are available at the studio for either 1, 2 or 3 people. This ensures high quality, personally tailored Pilates that allow rapid progression and development. DY Pilates provide group mat Pilates classes at a number of venues in and around Cannock. These mat classes are recommended for those who do not have any serious injuries and those who enjoy the social interaction as they learn. Mat classes are grouped according to ability and experience to ensure the safest and most effective workout for attendees. Mat classes include classes for beginners, intermediate standard and advanced mat Pilates classes. Regular DY Pilates classes take place at Burntwood Rugby Club every Wednesday 9.30am – 10.30am & every Thursday 7.45pm – 8.45pm. Contact Darren at DY Pilates on 07525 185483 for high quality Pilates classes. Please mention thebestof Cannock when contacting DY Pilates. Fantastic lesson, lovely set up. Highly recommend.